On March 2, 1896, the minutes of the first town meeting were recorded and on March 26, 1898 the first town ordinances were adopted. Included in those ordinances are the first mention of Constables acting under the town Commissioner who had the authority to arrest violators and to bring them before the Town Alderman. Payment for their duties was 50 cents for an arrest, 50 cents for a commitment to jail and for any other duties, a reasonable fee to be set by the Alderman. The two oldest buildings of historic account in the town are the Kenton Church established in 1789 and the Kenton School established in 1933. There is a Colonial era late 1700s Travelers House located on the corner of Route 300 and Route 42 which is privately owned and not on the hostoric state registry.Law enforcement for the town was done by the State Highway Patrol when it was established in 1919 which was later known as the Delaware State Police in 1923. On June 26, 1969, town board members voted to swear in Chipman Shockley as their town police officer. Emergency policeman volunteers were council members, Paul Palmer, Edward Attix, George Prettyman, Wilson Spence and Raymond Faulkner. 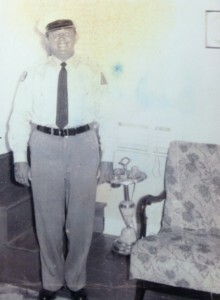 Officer Shockley served as the town policeman until March 11, 1971 when the town council made a motion to cease having their own police department and to sell all police equipment.In September 2011, the Kenton Town Council expressed a desire to start their own police department and solicited the help of recently retired Delaware State Police Trooper Michael Hibbert to get one started. With the assistance and support of Chief Floyd Toomey, Dagsboro PD, Clayton PD, Smyrna PD and Cheswold PD, the Kenton Police Department officially became a reality. On March 7, 2012 Michael Hibbert was sworn in by Mayor Paul Caple as the town’s Chief of Police. With the assistance and support of Deljis Director Peggy Bell and Michael McDonald, Delaware State Police Information Technology Director, on April 25, 2012 the Kenton Police Department was officially recognized at the state, county and federal levels. Shortly thereafter, Chief Michael Hibbert was sworn in by Magistrate Stanley Petrachuk at the Justice of the Peace Court 7 in Dover, Delaware. To date, traffic enforcement and criminal complaints in the town have been handled jointly by the Kenton Police Department and Delaware State Police Troop 9 Odessa. Mutual Aid support has been established with Smyrna, Clayton and Cheswold Police Departments. 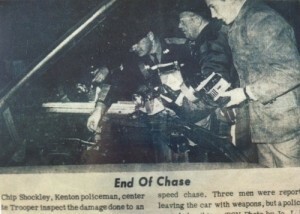 To date, Chief Michael Hibbert and one other part time patrolman are the only officers employed by the Town of Kenton.